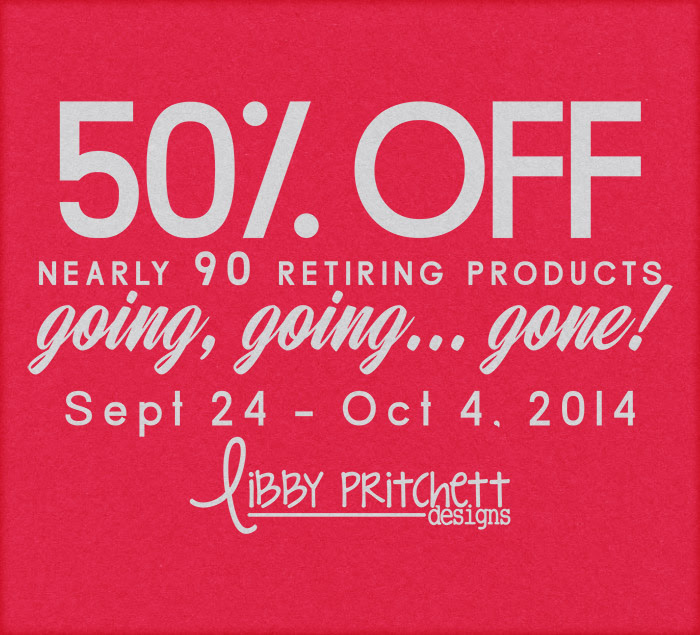 Libby Pritchett Designs: Going Going GONE Sale! I'm getting ready to join 15 other Sweet Shoppe staffers this weekend for our 2nd annual staff retreat in Las Vegas! So, what does that mean for you? Our annual Going, Going... GONE sale is here! I'm cleaning house this time and retiring nearly 90 products! I know it can be a little tricky maneuvering through the virtual aisles during a big sale like this, so I've created a Pin board where you can see all of my retiring items in one place! Hurry! The sale runs now through October 4, and then these items are gone for good!